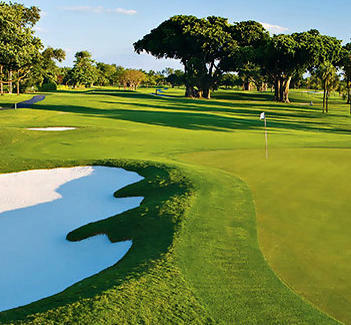 If your Mom loves golf, or at least you do, take her out for nine or 18 on the Coral Gables hotel's 6000yd championship course designed in 1925 by Donald Ross, who also did famed Oak Hill (go Michael Beasley!) and Pinehurst No. 2, which paradoxically is anything but crappy.